CASH was designed to maximize natural lighting and the cooling breezes of the Puerto Rican climate. The house is now a permanent educational exhibit at Centro Criollo de Ciencia y Tecnología, a science and technology museum in Puerto Rico. Public tours: The park is open Thursdays through Sundays from 10 a.m. to 4 p.m. For more information, call 787-653-8990. The Universidad de Puerto Rico's Caribbean Affordable Solar House (CASH) was relocated to el Jardín Botánico y Cultural de Caguas in Puerto Rico following the U.S. Department of Energy Solar Decathlon 2009. More than just a beautiful garden, this cultural center is located on the grounds of the former Hacienda San José sugar plantation. Visitors are educated on a range of topics, including botany, cultural history, land conservation, and sustainable agriculture. Installed as a prominent part of the interactive science and technology museum, Centro Criollo de Ciencia y Tecnología, CASH is now a permanent educational exhibit. It will continue to raise awareness about energy efficiency and renewable energy technologies. As one of only two schools to enter all four U.S. Department of Energy Solar Decathlon competitions, the Universidad de Puerto Rico brought a wealth of experience to the 2009 competition. Its Caribbean Affordable Solar House (CASH) entered the competition seeking to raise public awareness for solar housing as a contribution to healthier lifestyles now and for future generations. This mission was certainly accomplished during the event on the National Mall as thousands of people toured CASH's L-shaped, island-inspired house. 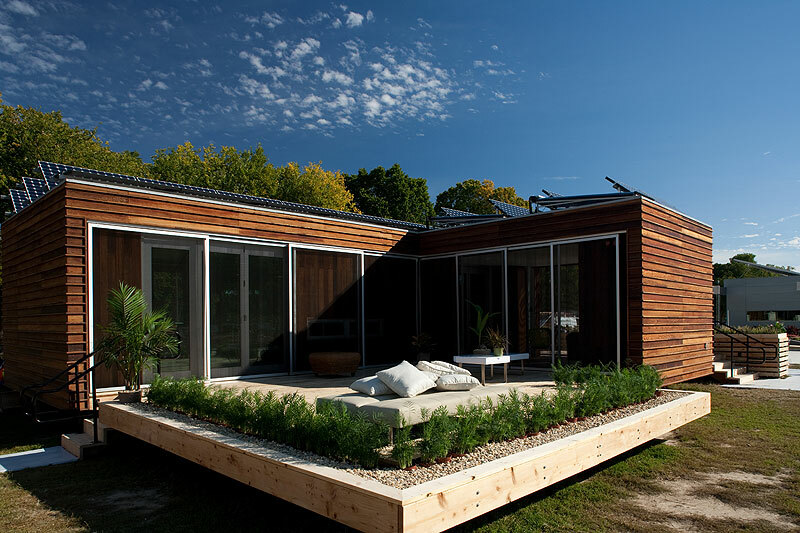 However, Solar Decathlon 2009 was more of a launching point than a conclusion for the team's educational goals.